Hooked on Walking designs and organises walking tours at popular destinations all over Europe, and our tours in Italy are certainly perennial favourites. Walking holidays in Italy lead through mountains, fertile valleys and stunning stretches of the Mediterranean coast—revealing the country’s fascinating historical and cultural heritage along the way. Italy has made so many grand contributions to the world. This is the epicentre of the Roman Empire; the birthplace of the Renaissance; and a purveyor of one of the world’s most celebrated cuisines. With so much to see and appreciate, it can be tempting to try and do too much in the course of holidays in Italy. This is why seeing the country on foot can make such a difference. By selecting one of our walking tours and focusing on a specific region, you’ll experience Italy according to a more natural rhythm. In our fast-paced world, slow-touring is as much about experiencing the destination as it is about reconnecting with yourself. We’ve already mentioned the beautiful scenery and historic ruins that walkers enjoy while exploring Italy—but that’s only part of the adventure. The Italian countryside is also famous for its incredible cuisine. And nothing works up an appetite like rambling through the Italian countryside. Each of the self-guided walking tours listed on this page have their particular charm and allure. We’ve painstakingly crafted each to ensure that it brings our clients into contact with as much of the local culture as possible. In Italy’s case, that certainly requires tasting the local food. A few tours stand out in culinary terms. For example, the Chestnut and Wine Route package crosses through the South Tyrolean wine region, where wineries offering tastings and tours abound. Likewise, true foodies will be thrilled by the Barolo Wine Trails package. Walkers pass through fertile lands that produce world-famous truffles along with some of the country’s finest wines. You’ll also find delectable cheeses, preserved meats, chocolates and refined pastries. After a day of trekking through the Piemonte region, you’ll know you’ve earned the right to indulge. We at Hooked on Walking have been in the business of organizing excursions like these since the late 1990s. We have an intimate understanding of walkers’ needs and the challenges they face while out on the trail. That’s why we offer services such as luggage transfer between accommodation points. Whether you long to trek the Amalfi Coast or hike into the Dolomites, you’ll find a walking tour to suit your preferences amongst our comprehensive offerings. Feel free to browse the Italian walking holidays listed below, and click through for additional information if you would like to learn more about a specific route. If you have any questions or would like to learn more, please don’t hesitate to contact us directly. Between the artistic masterpieces of Florence and Siena we find the “Chianti Classico” hills, covered with vineyards producing world famous wines, as well as excellent olive oil. Walking from the mountains to the coast. Enjoy walking in Sardinia while enjoying the beautiful scenery that it has to offer. Discover the Madonie Mountains. A beautiful yet relatively unknown mountain area east of Palermo. A two centre based waking holiday in the Dolomites. Beautiful scenery and hiking trails to explore. Walking tour around the island of Elba located just off the mainland of Italy and not far from Pisa. The landscape where this walking tour takes place, belongs to one of the most dramatic coastlines of the Mediterranean. You will follow the Chestnut Path (“Keschtnweg”) where you can discover the true beauty of the Dolomites above Bozen. Walking along the Cinque Terre footpath you’ll continuously have spectacular views on the sea. Enjoy some of the 5 famous villages. 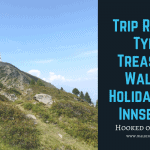 Walk across the Tyrolean Alps from Innsbruck to South Tyrol across the Alto Adige range. This walking holiday explores the Barolo Wine region in Piemonte. The perfect place for good food, good wine and most of all great walking. Daily from 1st April to 27th July and 25th August to 31st October. On this walking holiday you will visit East Sicily, Mount Etna and the Aeolian Islands of Lipari and Stromboli. Why not explore this little explored region as it is fast becoming more popular with the international tourist! You will experience hilltop fortified towns, Etruscan ruins, medieval boroughs, vines and olive gardens.